I’m an old fashioned girl at heart. But why does the concept of ‘meeting the neighbourhood’ seem old fashioned to a 30-something year old like me? In the country, people do actually stop to say hello. I wonder, do they spot townie’s from a distance? Are we instantly identifiable by our glassy stare of indifference and our trained RBF’s? These are looks we’ve mastered to ensure that we don’t make the fatal mistake of looking at anyone or anything for too long – god forbid someone gets the wrong idea. We don’t talk and we rarely smile at other homo sapiens in built up areas unless we’re about to collide in a professional capacity. It’s just safer all round not to. People could be crazy and if they’re not, they’ll certainly think that we are if we initiate random engagement. But after a period of rural immersion (18 months a country lass) I am now entirely used to friendly people. In fact, I’m pretty sure that I may have become one of them. So here’s my advice on how to immerse yourselves in the local community. I spent a fair amount of time googling everything from ‘Albury End Hertfordshire’ and ‘Little Hadham Hertfordshire’ to ‘village websites in Herts’ and ‘local farmers markets in Hertfordshire near me’. 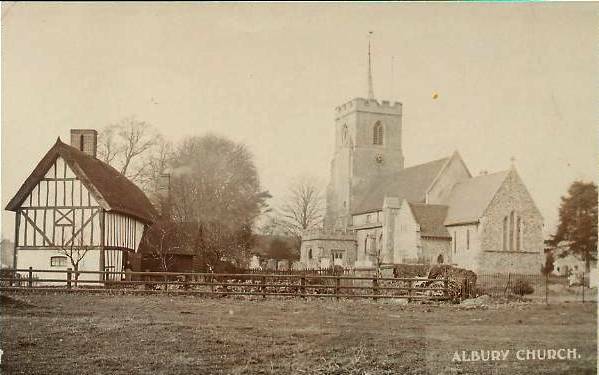 Turns out that there is an Albury Village Hertfordshire website and as a result of discovering this, I got in touch with the Parish Council to introduce myself, explain a little about who I am and what I do, and offer to help them develop their website and improve their online presence. I have offered to do this voluntarily and I now spare an hour or two each week adding a little value where I can to support my local community who are in need of funding to keep the Village Hall alive. I’ve also joined local social media groups such as the Albury Village Hertfordshire Facebook group and I follow pages such as Hertfordshire Life which helps me keep up to date with local goings on and provides tons of fab inspiration. You don’t have to be a farmer or have produce to get involved in your local farmers market. I got in touch with the farmers market in Little Hadham, a village in Hertfordshire, and asked the organiser if they would benefit from having a photographer at their next market day. They said yes – they were in need of a library of high quality photographs to use on their website, in advertising, in marketing materials and on social media. If you’ve got something to offer your local community to add value to their endeavours, get in touch and introduce yourself. What’s the worst that could happen? If you’re less keen to have professional involvement in the community, simply attending the farmers market as a customer and supporting your local farmers by buying meat and groceries from them is an excellent way to mingle with your rural neighbours. Plus, once you’ve started buying local you’ll realise how much better everything tastes and that there’s no going back. Our village hall in Hertfordshire plays host to a number of events and activities, from yoga and badminton to afternoon tea. Make the effort to attend just one event and show your neighbours that you’re willing to get stuck in. You’ll probably find yourself frequenting the village hall more than you’d anticipated. There are a number of village halls nearby in the towns of Ware, Albury, Little Hadham, Hunsdon and Waterford, to name just a few of our Hertfordshire locals. Google your local area to find local activities and look out for signs informing you of upcoming events. Actual, physical signs, yes. Rural businesses and organisations aren’t always going to have a bells and whistles website or even a social media page. And finally, if you’re really keen to make an impression why not set up your own event – whether weekly, monthly or annually – and promote and host everything yourself? I bet you’ll be surprised by the interest it garners. And what better way to personally introduce yourself to your neighbours and show them that you’re here to make their town or village a better and more integrated place. Show interest, get involved and you’ll be more than welcome in the Hertfordshire countryside. Creative copywriting, photography and digital marketing services.